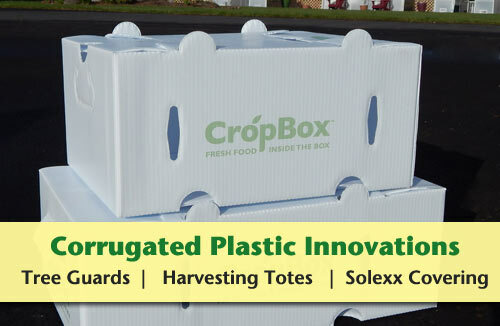 These sealed twin wall boxes cushion and protect your harvest. Reuse your produce boxes over and over again. 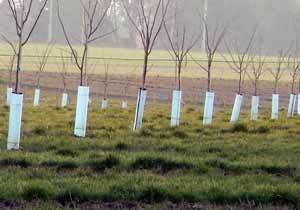 Protect young trees from frost, sunscald and more with specialty black and white tree wraps. Save energy costs by replacing your poly with twin-wall Solexx Greenhouse Covering. Cushion and protect your delicate fruit in the same tote from picking to hydrocooling. Expandable plastic ties stretch with your plant to accomadate growth.